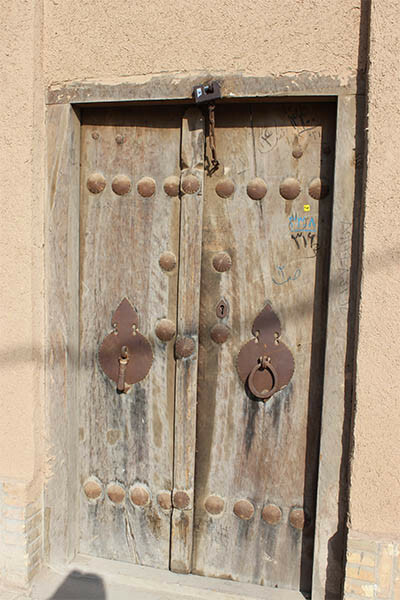 These wooden doors have male and female knockers, so that the people inside could tell by the sound who was at the door. The male door knocker is rigid and heavy that makes a strong sound. 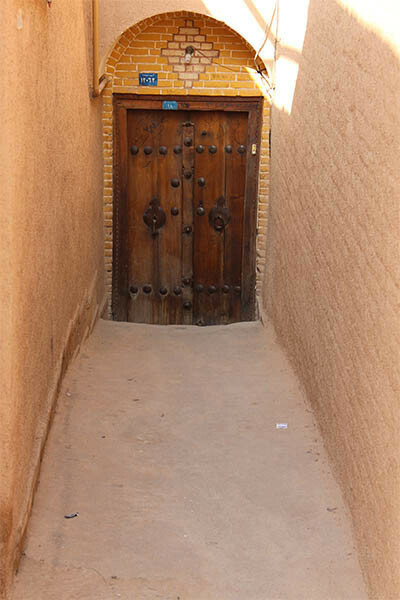 People inside the house would be informed that a man is behind the door. The feminine door knocker is curly and ring like and makes a lighter sound. It informs the people inside the house that a woman is behind the door. This system is in place due to the Islamic custom that women should be private from men except their intimate ones.